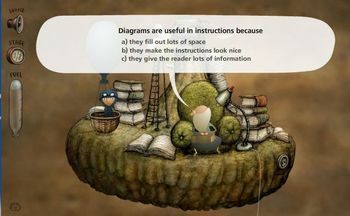 As part of the quest to find games that will help with his Maths Arthur's been playing a lot on the BBC schools Bitesize website. It's really good, seems just the right balance of play and actual Maths. (Whereas he gave up quickly with Timez Attack, saying, 'this is just as bad as doing lessons'. It's also handy for parents because you can get a rough sense of what each Key Stage expects your child to know. 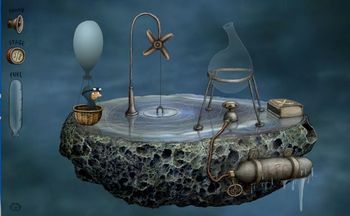 And Stefan sent us a link to Questionaut (by Amanita.) Which is especially lovely. Most of the questions are too old for Arthur to do on his own, but we're doing them together and it's great. (Anne's been doing it more than me to be honest.) 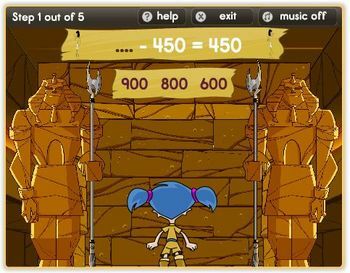 It's a mixture of game-type point and discover activities and regular multiple choice questions. Which reminds me; Steve and I were thinking for ages about doing some sort of version of Speechification, designed for people to share this kind of stuff and things like mole with each other. It's always handy to hear from other parents (and other non-parent types, I think of them as the non-tired) about this stuff. We thought about calling Kidification but that sounds slightly suspect somehow. Would something like that be of interest to anyone? Anyone like to contribute? Minification? Is that any better? Me too - I'll even get her out of the shed if it helps.